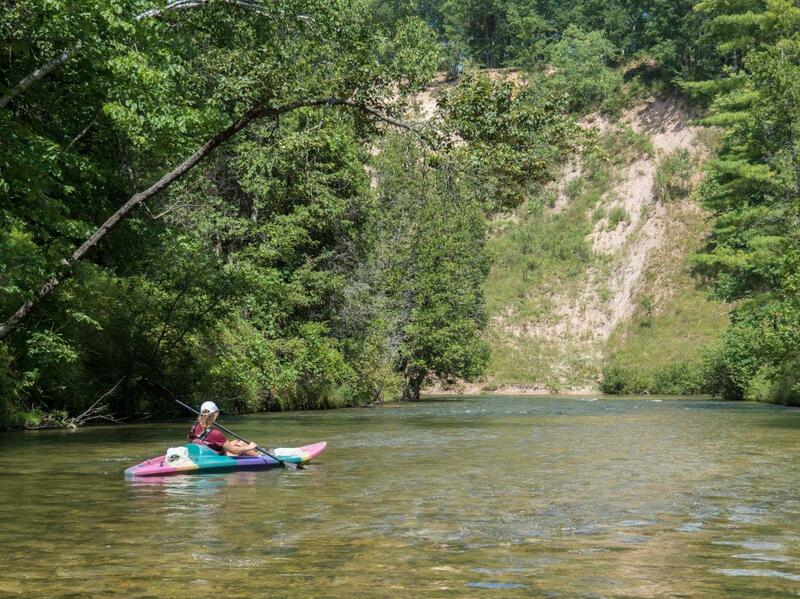 Report by Gracie Failor, who has been paddling a variety of Northern Michigan rivers since age 5; this was her first Pine River expedition. She is headed off to the University of Pittsburgh next week. August 16th started bright and early when Lois and John came knocking on my door at eight o’clock in the morning. 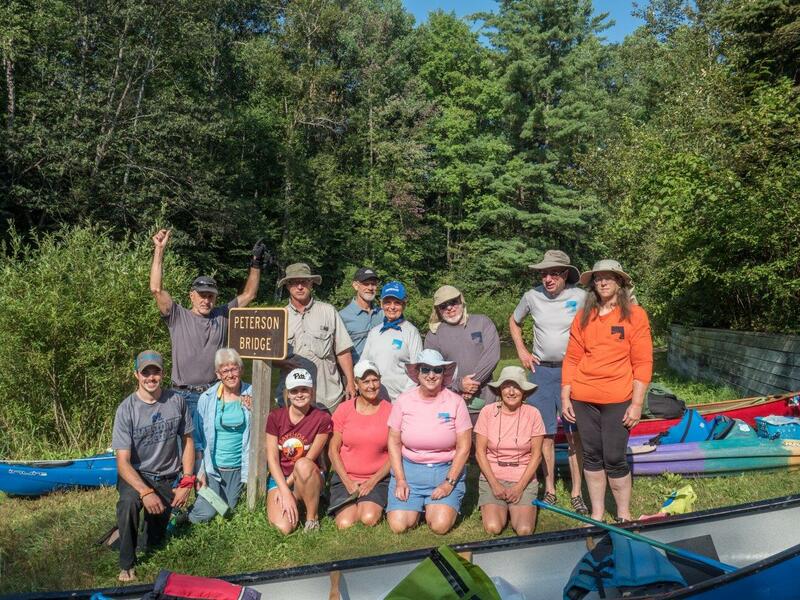 Half asleep, we drove to the Peterson Bridge launch site on the Pine River to meet up with the rest of the crew. There we were met by Doug, Glenn, Gail, Tracie, Terry, Will, Marlene, Linda W, Mark, Marty and the entire Fremont Cross Country team. 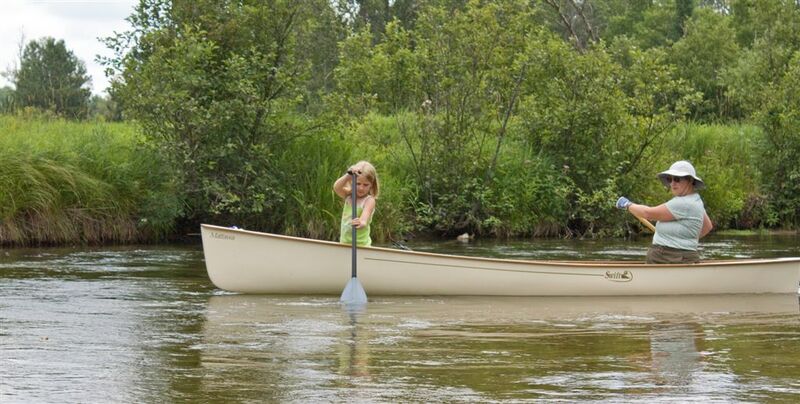 Quickly upon arrival, Lois realized that we were down a paddle. Thankfully, Terry had brought an extra one with her that I was able to use. Dodging the runners standing in the water, we set off down the river. 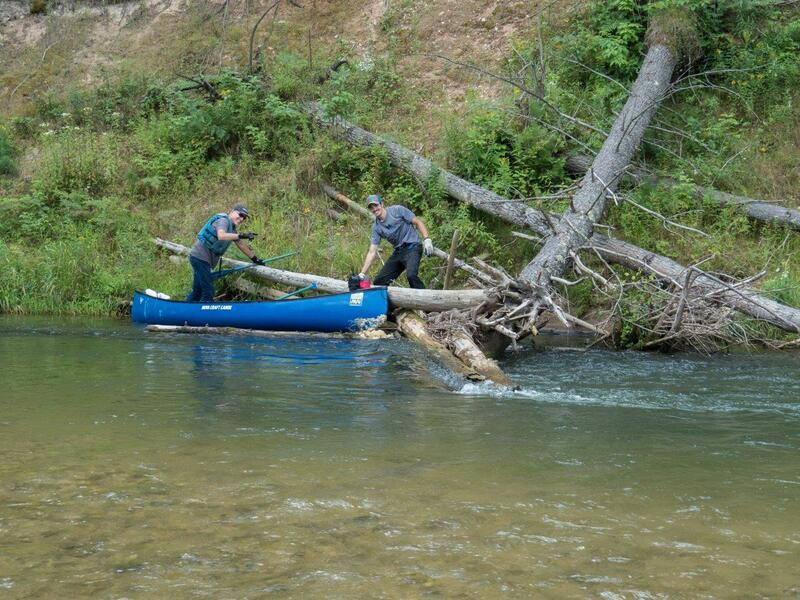 On the drive down, Lois warned me that this was the toughest section of the Pine. She was not lying. 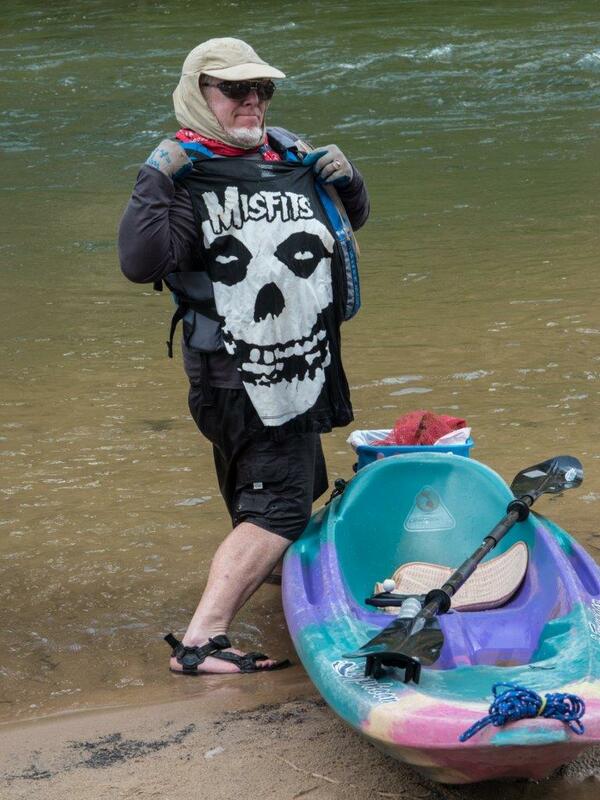 After some initial high speed rides through the rapids and a few collisions with large rocks, I began to get the hang of this river and was able to start focusing on the trash. And trash there was. 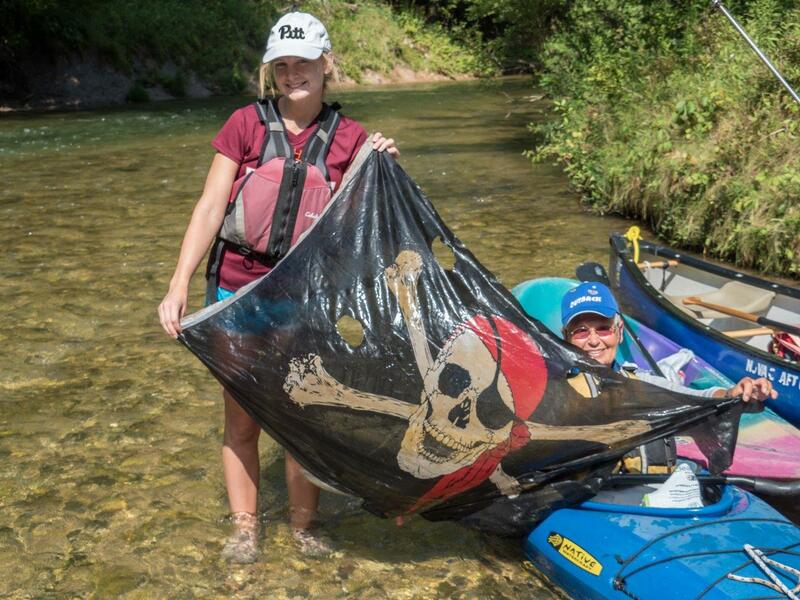 Marlene and Terry recovered a pirate flag from the river, Tracie a Sperry shoe and Doug uncovered a skull tank top during the first stretch along with many other shoes, cans and bottles. 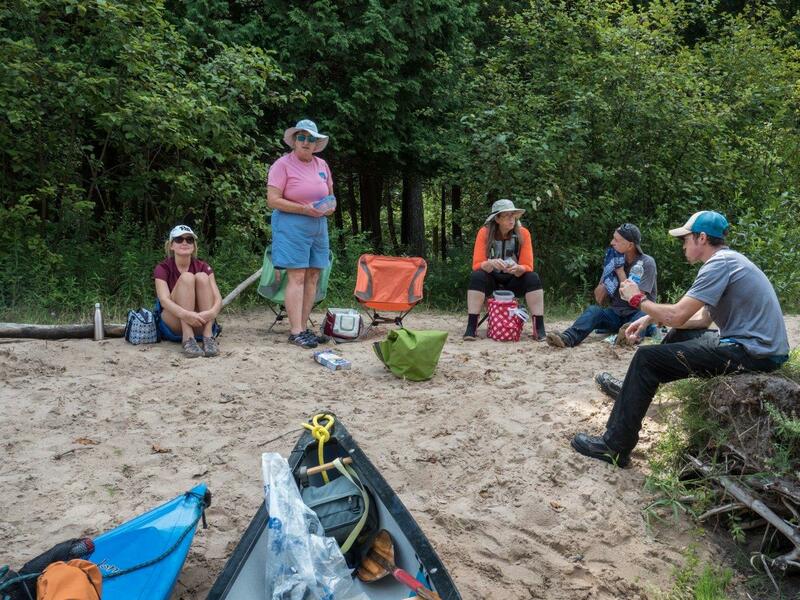 We stopped for lunch at a nice little beach on the bank. Refueled, we headed back out to find some more treasures. 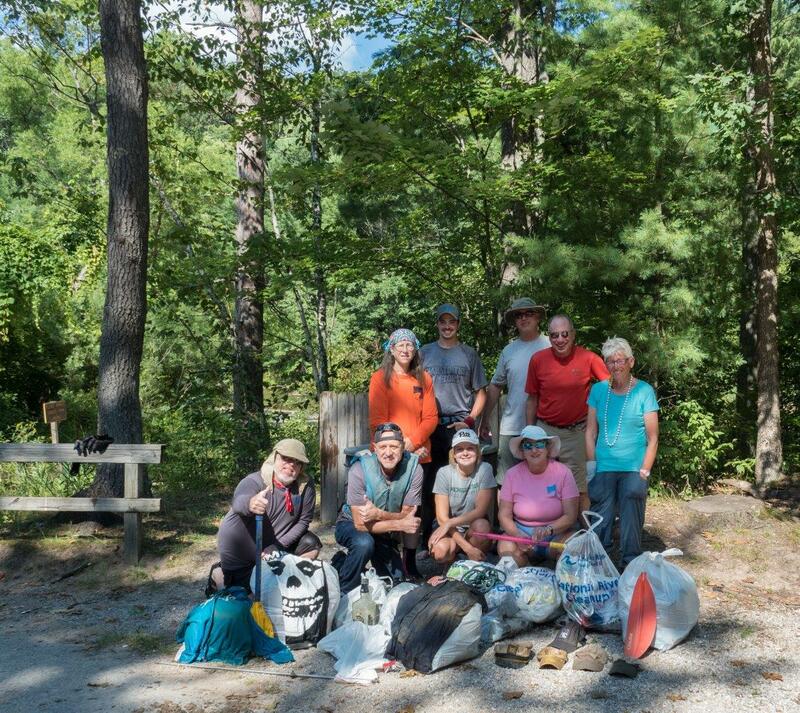 Eventually we arrived at the landing at Low Bridge where everyone combined their trash bags. Some of the best things we found included a large variety of baseball caps, a super soaker water gun and a mostly full bottle of Jack Daniels. We joked that with that load I was ready to head off to college. After a few pictures, we parted ways and Lois, John and I had a delicious dinner at Olive Garden before heading home. 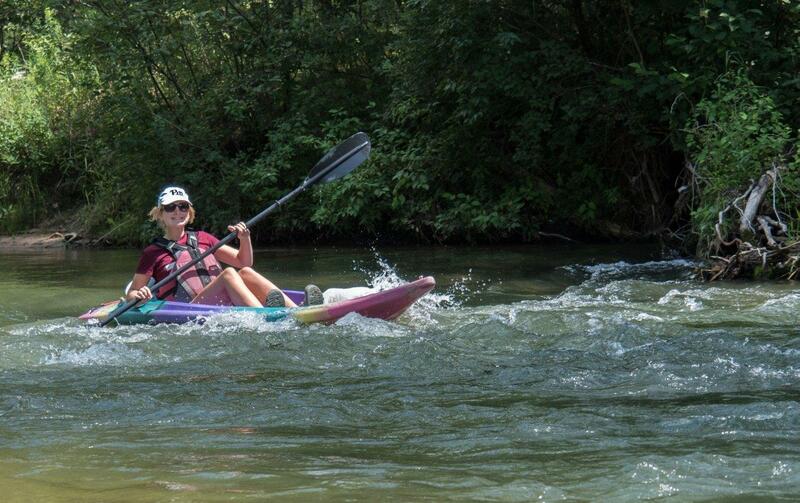 Despite a few (literal) bumps in the river, it was an amazing day for a paddle and a great way to spend one of my last days of summer! One of our interesting "finds"